The shoulder is the most flexible joint in the body, allowing you to throw balls, lift heavy objects and reach in almost any direction. 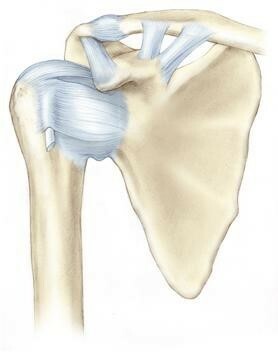 The shoulder is made up of bony and soft tissue parts which act as joint stabilisers. – Rotator cuff : muscles and tendons – Labrum: ring of fibrous tissue – Glenoid and humeral head. The most common cause of shoulder instability is a shoulder injury by falling or running into something. Once the shoulder has been dislocated it is very likely to slip out of the socket again and again. Repeated dislocations as well as being painful may predispose the shoulder to arthritis. If the humeral head shifts completely off the glenoid then the shoulder is dislocated if it is only partially shifted then it is subluxed. When either of these happen the structures around the shoulder joint are stretched or torn. These injuries rarely heal perfectly. This means the shoulder remains unstable.. Most unstable shoulders usually are unstable in one direction. Eg anterior or posterior. As a result avoiding placing your arm in certain positions can avoid dislocations. Physiotherapists may use taping or braces to achieve this. This is often not a viable long term option in the sporting population. Physiotherapy can help restore stability, strength and control of your shoulder. It helps you regain control of your dynamic stabilisers – the rotator cuff and other shoulder. There are some types of instability where physiotherapy alone is enough to stabilise the shoulder. For most active people physiotherapy is only effective when used in conjunction with surgery. In my practice I stabilize shoulders arthroscopically or perform an open latarjet procedure. Arthroscopic shoulder stabilization helps restore shoulder stability by tightening and repairing the shoulders static stabilisers. 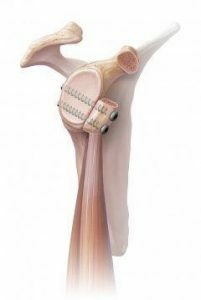 The principles of the operation are to reduce the size of the stretched capsule of the shoulder joint and to reattach the torn labrum back to the bone. The operation is performed under general aneasthesia. Two or three small stab incisions are made around the shoulder. Through the arthroscope the entire shoulder joint is visualized and then the torn structures are repaired. Arthroscopic stabilization is successful in 90 95% of cases. If following surgery you avoid high risk activities the the success is even higher. Open stabilization is a very effective treatment in a number of patient groups. Significant bone loss Failed arthroscopic repair High risk sports. It is an excellent technique that is gaining popularity in Perth. 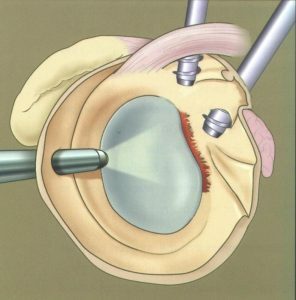 The technique is complex .It involves a 7cm incision, and moving a small piece of bone onto the socket. This is held with 2 screws. The shoulder capsule is also repaired. The advantages of this technique in my practice has been a reduced failure rate, and patients are allowed to rehab quickly. – Redislocation: Usually 5%. This risk can be as high as 20% in very young patients or those people that continue high risk activities. – Stiffness: everyone is slightly stiff. Usually only 5 10 deg loss. A small number of patients ( 1%) end up very stiff with frozen shoulder. – Infection: rare approx 0.5%. If occurs this will require antibiotics and possibly further surgery. Normally you will be able to go home the day following surgery. On discharge from hospital you will be given oral analgesics and written advice on execises. You will again be reviewed at 6 weeks to come out of the sling and begin your rehabilitation. This protocol applies to most cases, some variations will occur depending on the injury and surgery. If you have any questions about the surgery or rehabilitation dont hesitate to ask Dr Hewitt.